Auckland is not only the largest and most happening city of New Zealand, it is also easily the food capital of the island nation. There is no dearth of cuisine options there and the fresh produce and ingredients make even the simplest of preparations a delectable experience. The vast coastline, thriving cattle, sheep and veggie farming mean every meal here is a visual and succulent treat. Auckland’s central business district no doubt houses some amazing restaurants but the real food hubs of the city are its suburbs. 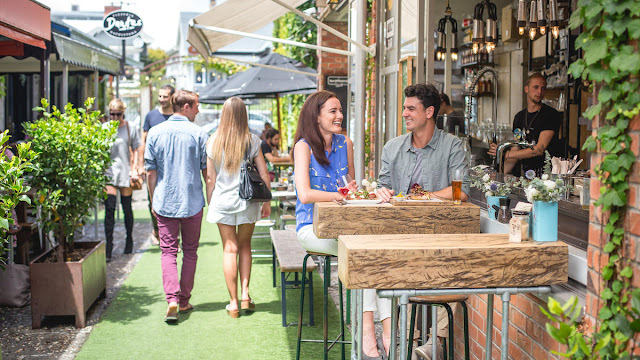 From the chic cafes and nightclubs in Ponsonby, amazing eateries in Parnell, fine dining outlets in Viaduct area or happening hubs in Mission Bay area, food scene remains buzzing through the day. From Michelin Star restaurants, takeaway kebab joints to delightful gelato shops, you would be spoilt for choice. Imagine enjoying Indian curries prepared using succulent ingredients or European grills with finest and freshest produce! If that’s not got you drooling then how about fresh wine and cheese selections or melt in mouth meat delicacies! Auckland boasts of amazing variety of cuisines on offer. 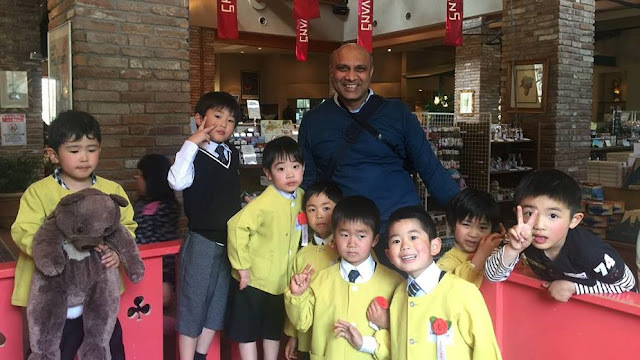 There are some unique innovative options on offer as well such as Indo Nepalese cuisine, American Thai, Modern Persian and Modern Indian. 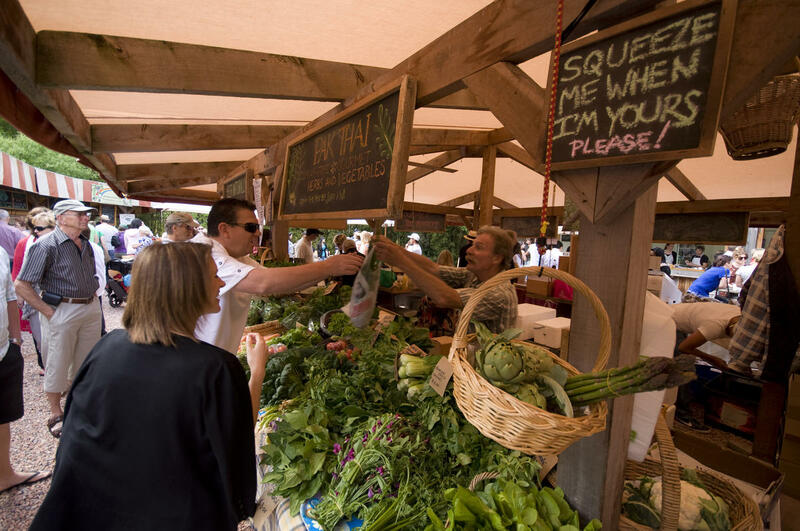 Farmers' Markets are a great place to stock the freshest produce. Auckland is really high on food experiences that go beyond just cafes. 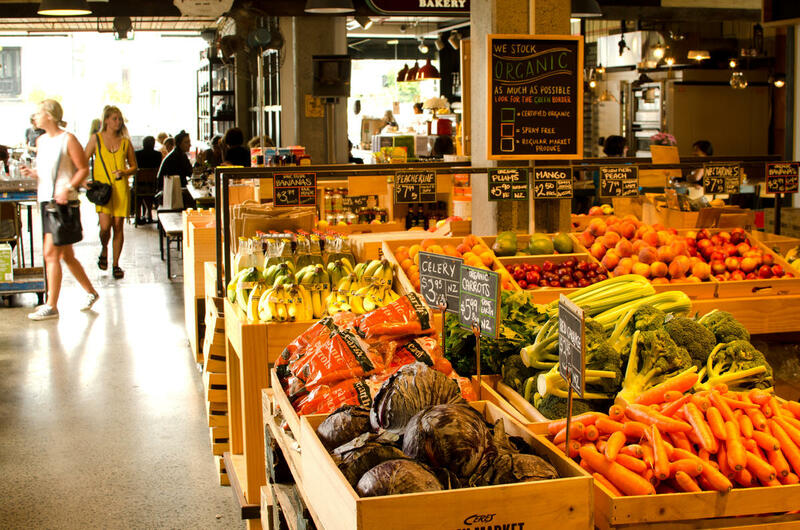 Farmer’s markets where you can shop of fresh produce, fruit farms where you can pluck your own berries and have an ice cream made, wine tasting with amazing meal, cheese tasting, chocolate tasting and even honey tasting, you name it and it is there. Vineyard and farm cafes are in fact among the biggest tourist attractions where you get to enjoy a true farm to table food experience over various courses of a meal. The revolving restaurant atop Sky Tower offering 360 degrees view of the city is another experience you wouldn’t want to miss. Hangi meal prepared under the earth on heated stones is a unique experience and a delectable tradition that has been kept alive. You visit to Auckland will be incomplete without experience a Hangi Meal. Te Puia, a short drive from Auckland is an ideal place to enjoy it. 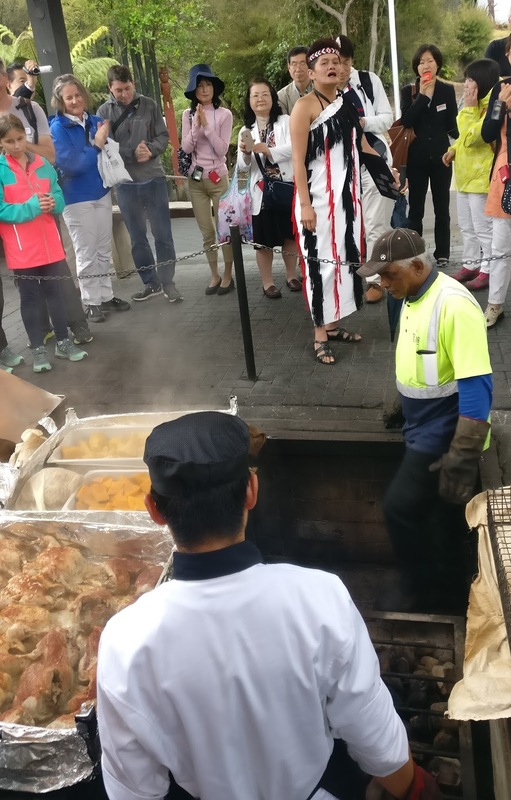 Another prominent feature of Auckland eating is their love for barbeque or Barby as they like to call it. Food and wine events galore in the city and you would be best advised to look up if any Barby event is happening nearby and head there. 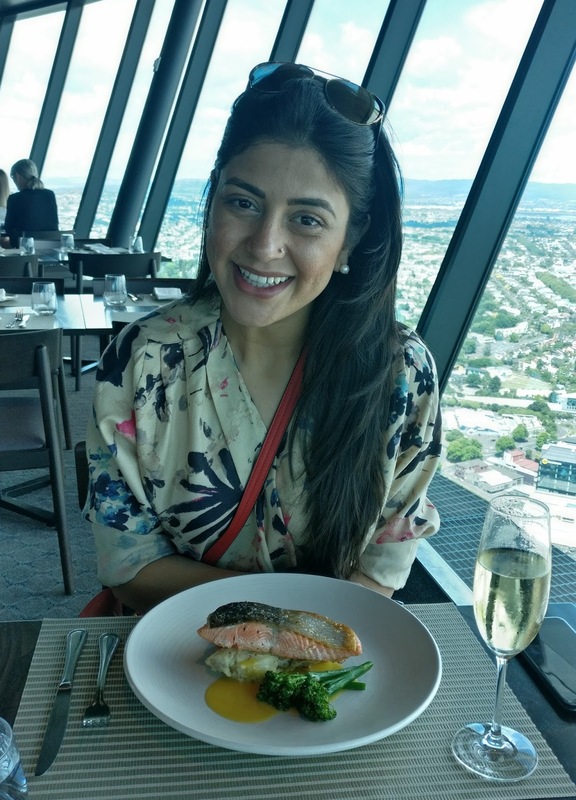 Meal atop Sky Tower overlooking the city of Auckland is an experience to remember. Book in advance though as the restaurant Orbit 360 usually remains fully booked. 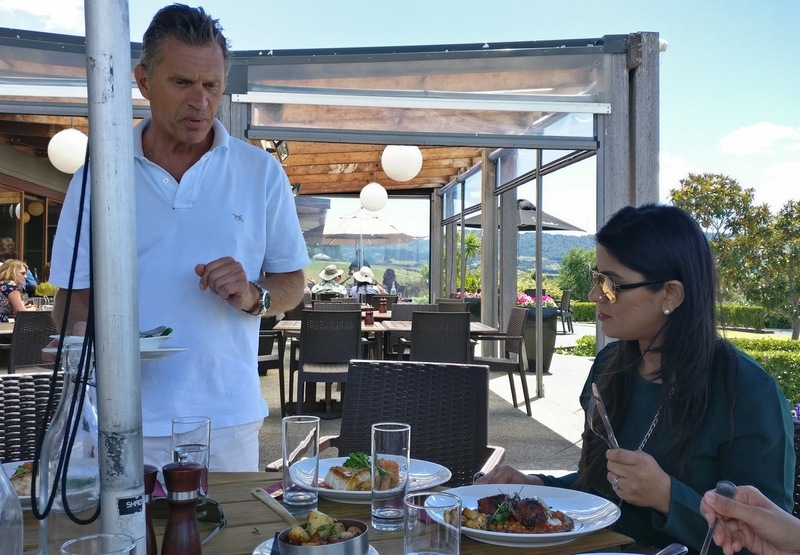 Cafes in vineyard where you get to sample their wine and pair it with a meal is a quintessential New Zealand experience. You can head out to one of the wineries too but the best way is to book a wine tour where a trained guide will take you to amazing vineyards and also let you explore the region. We opted for a Matakana WineTour with NZwinepro (In main pic) and would recommend the same as John was an extremely knowledgeable guide at the helm.